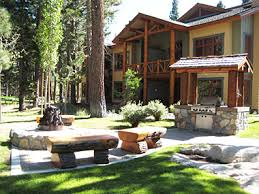 View active real estate listings for Cabins at Crooked Pines condos for sale in Mammoth Lakes, updated daily from the Mammoth Lakes MLS, and read detailed information about the condo complex. The Cabins at Crooked Pines is a 24-unit complex, built in 2005. 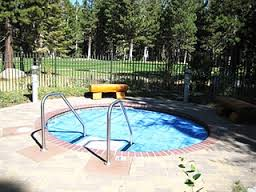 Complex amenities include a spa, BBQ area, outdoor gas fire pit, picnic tables, Sierra Star golf course frontage, underground parking garage, private owner’s lockers and close proximity to Eagle Express/Chair 15. The 2-bedroom, 2-bath floor plans feature approximately 1,144 to 1,160 square feet, the 3-bedroom, 2-baths feature 1,525 square feet, 3 & loft, 2-baths feature 1,725 square feet, there are laundry hookups in each of the units, hydronic floor heating, and propane gas log fireplaces. The monthly HOA dues range between $830 to $1,050, prorated according to unit size, and include unlimited propane (main source of heating to power the forced-air units), snow removal, building maintenance, common area maintenance, water, trash sewer, landscaping, common area utilities, and insurance for the structures. 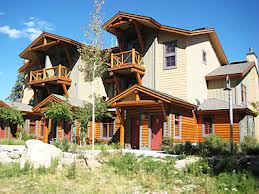 And, be sure to register for a free account to automatically receive email listing alerts whenever new Cabins at Crooked Pines condos hit the market in Mammoth Lakes, CA, that match your specific search criteria.